Cutting gas in a mixture of hydro carbons and special additives. 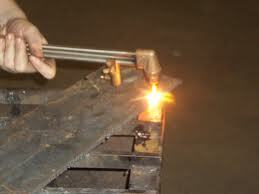 It will give clean fine cutting than Dissolved Acetylene (DA). The prices of Cutting Gas is much economic compare with DA. The additives used in cutting gas are the proprietary products designed by our long R&D. These cutting gas are in Industrial cylinders available with our industrial gas dealers.